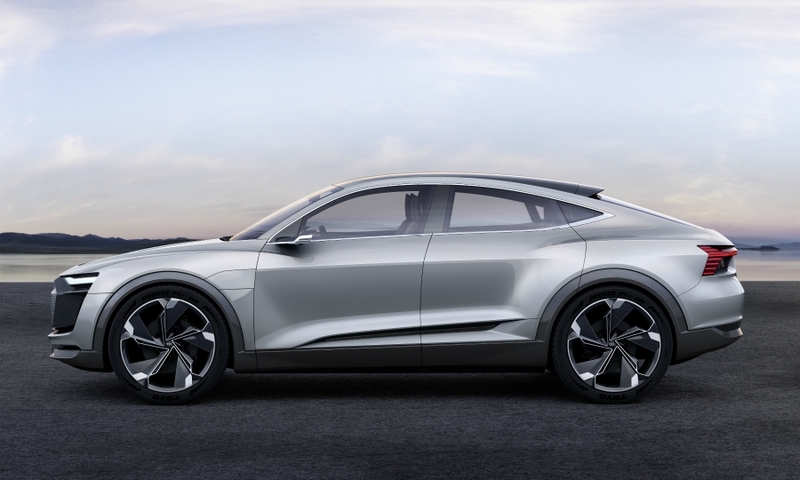 SHANGHAI -- Audi's e-tron Sportback concept previews a full-electric car that will compete against rivals such as the Jaguar I-Pace. Audi unveiled the concept at the auto show here on Wednesday and said it will start building a production version in 2019. The four-door concept has an electric drivetrain with one electric motor on the front axle and two on the rear. 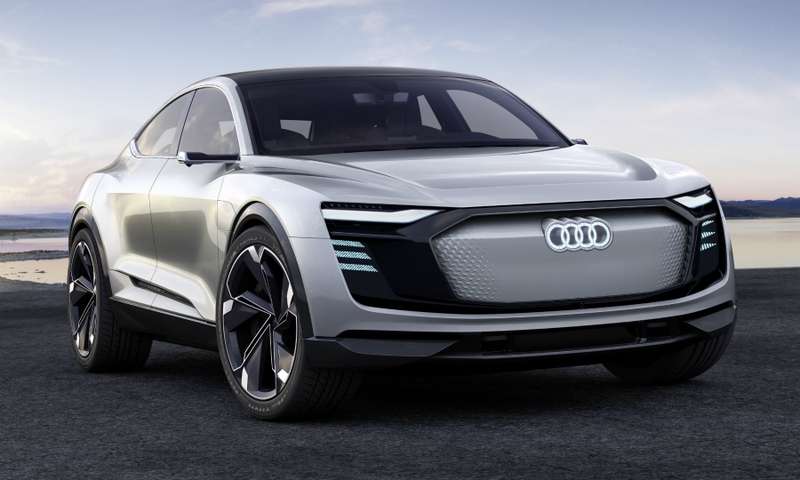 Audi said the powertrain will be used in all of its future production EVs. The rear motors send power to the rear axle to give the car all-wheel drive under hard acceleration. 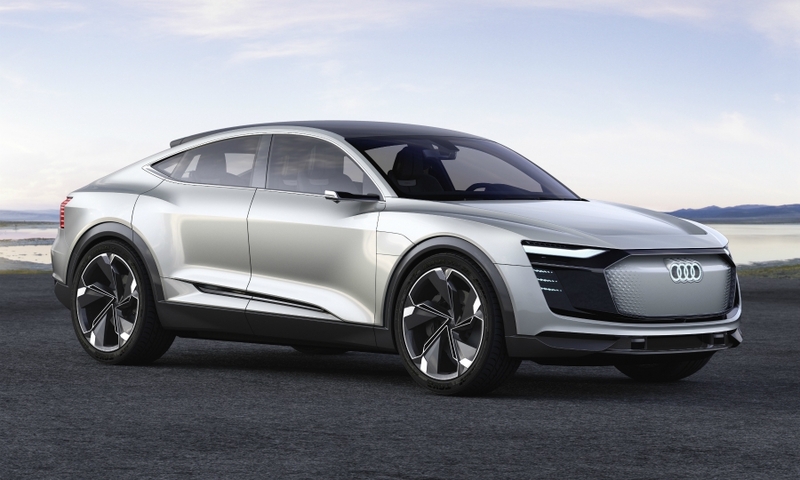 The e-tron Sportback will accelerates from 0 to 62 mph (100 kph) in 4.5 seconds, Audi said. It has 320 kW of power that can reach 370 kW in boost mode. 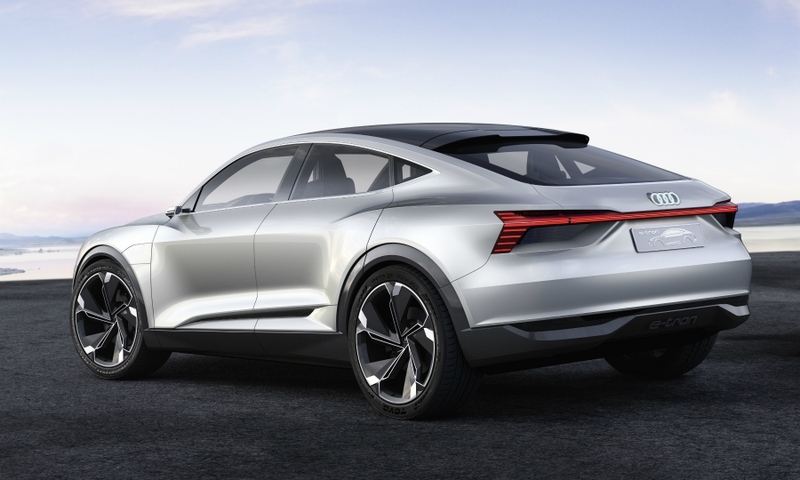 The 95 kW battery pack is positioned between the two axles to give the car a low center of gravity and "outstanding driving dynamics," Audi said. The production car will have a range of more than 500 km (311 miles), making it "fit for everyday use," according to the automaker. 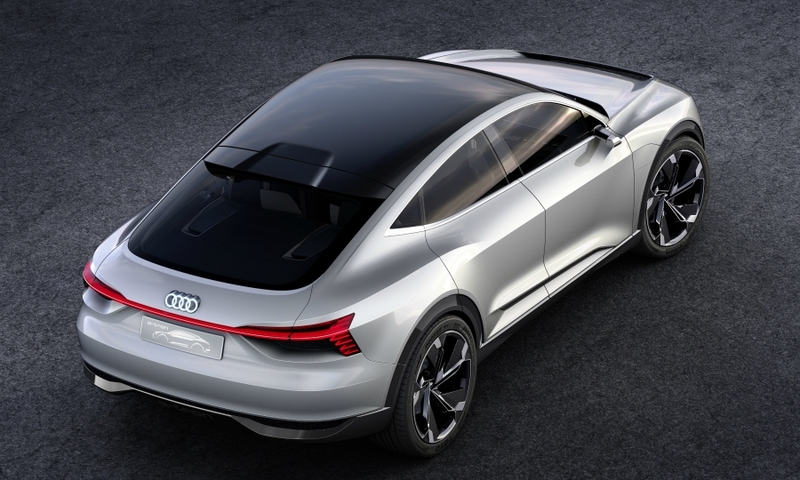 The concept is 4900mm long, 1980mm wide and 1530mm tall, putting it close in size to the Audi A7 large fastback. The concept’s trunk has capacity of 550 liters. Audi calls the E-tron Sportback a "four-door Gran Turismo." The design keeps Audi’s traditional octagonal grille but fills the center to reflect the electric car’s reduced need for cooling. The front lighting includes laser projectors that can be programmed to display different images on the road ahead. The car uses cameras in place of door mirrors that project the view behind on separate displays on the doors. Audi says a version of this technology will appear on the production car. 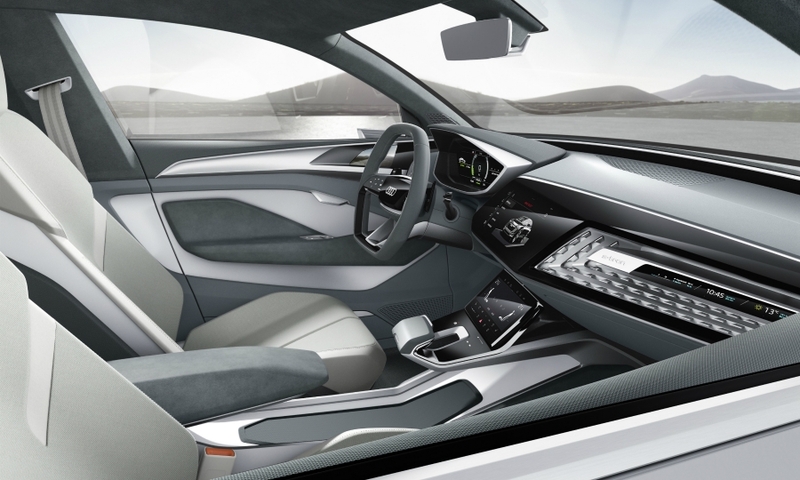 The interior of the Sportback includes touchscreen displays in the central display and center console. Rear passengers have their own display on the doors to operate the climate control and infotainment system. A wide screen ahead of the front passenger can give navigation data, weather forecast and outside temperature. 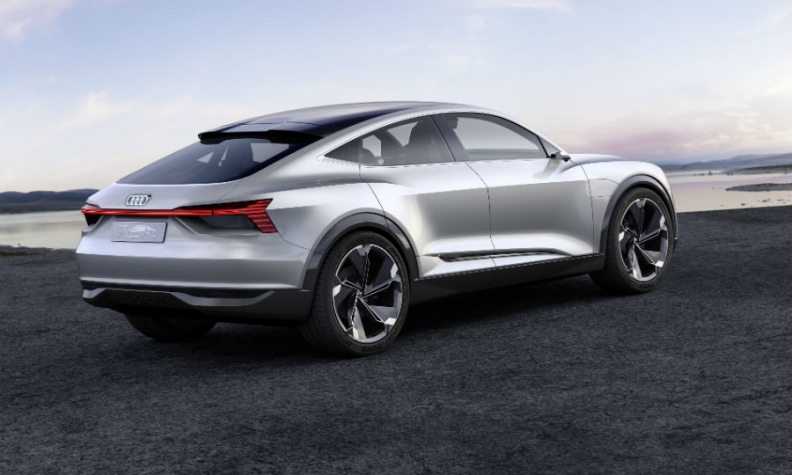 The production e-tron Sportback's 2019 launch will come a year after the brand's first purpose-built EV, the e-tron SUV/crossover, which goes on sale in 2018. 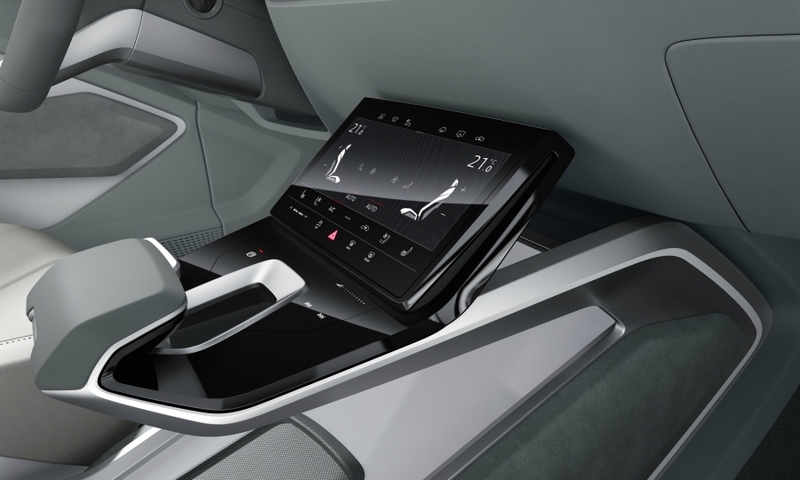 The concept's interior has touchscreen displays in the central display and center console. 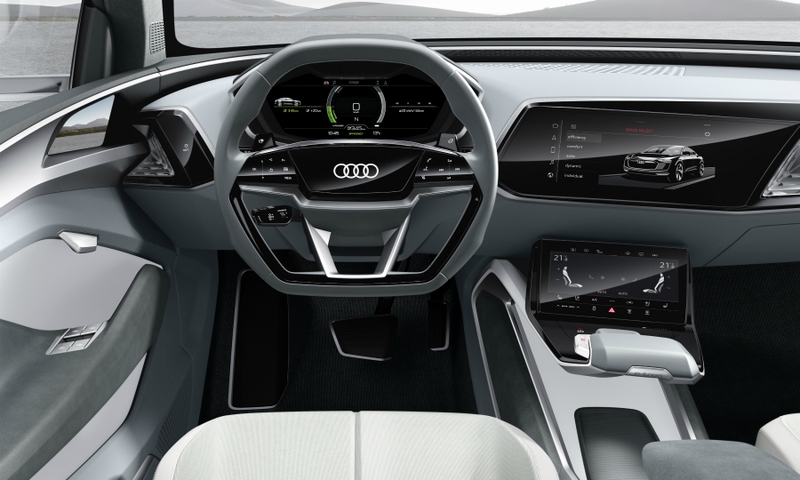 The concept was unveiled in China to because the country is the world’s largest electric vehicle market, Audi’s head of sales and marketing, Dietmar Voggenreiter, said. China also has the world’s leading infrastructure and financial support for EVs, with 150,000 charging stations and another 100,000 due to be operational by year-end, he said. Voggenreiter said the concept car was "really close" to the version expected to be mass produced in Germany starting in 2019. He added that the car would first be produced in Europe, "but we will see whether we will import into China or produce it in China." 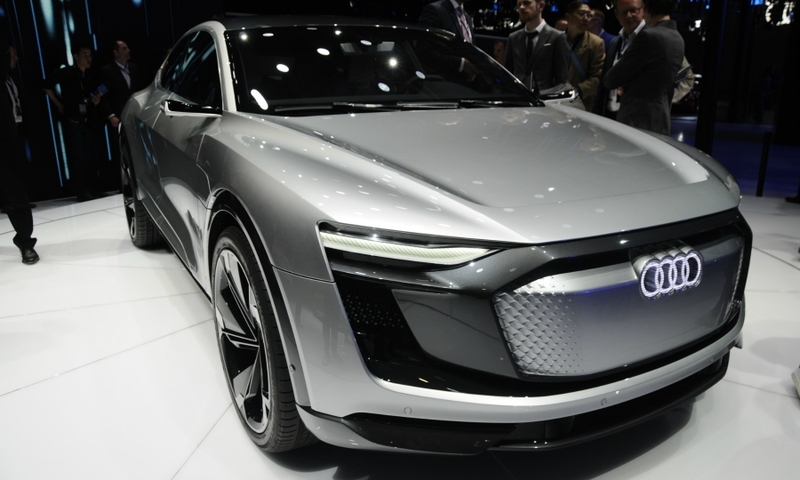 Audi and its China joint-venture partner, FAW Group, will produce and sell five "e-tron" full electric and plug-in cars in China over the next five years, part of a global push to boost sales of full-electric and plug-in hybrid vehicles, Voggenreiter told Reuters in an interview. 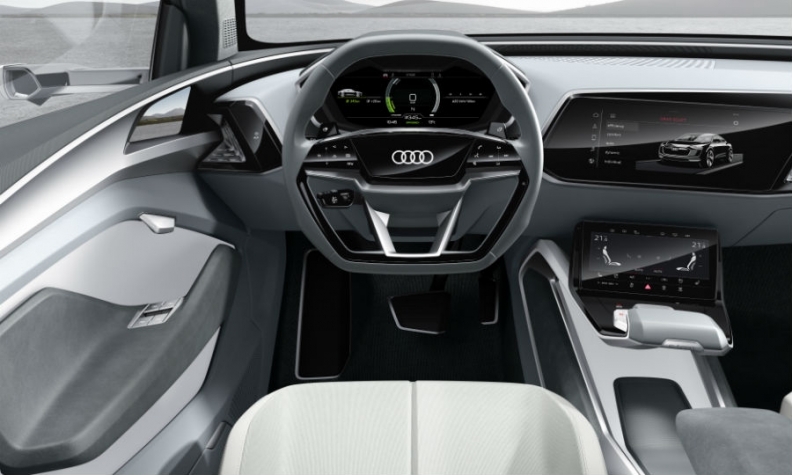 As part of this agreement, the two companies recently began producing in China the first of the five planned cars -- a plug-in hybrid version of the Audi A6L. The model is expected to go on sale later this year. 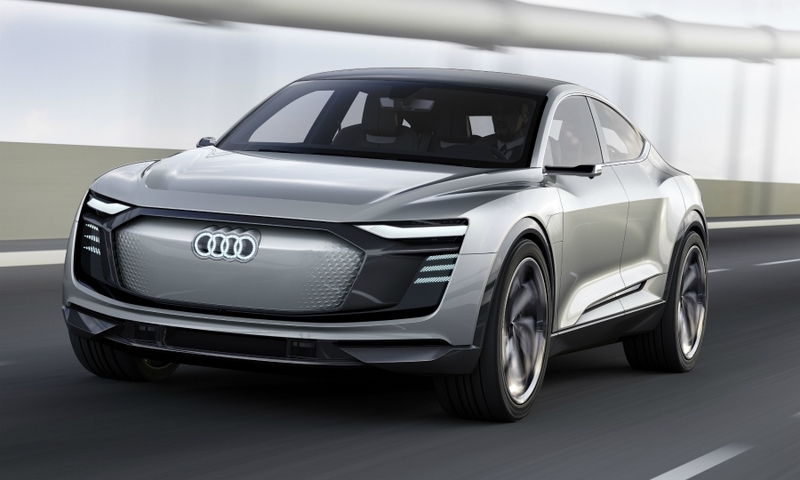 Globally, Audi aims to generate 30 percent of its overall sales from electric and plug-in hybrid vehicles by 2025. 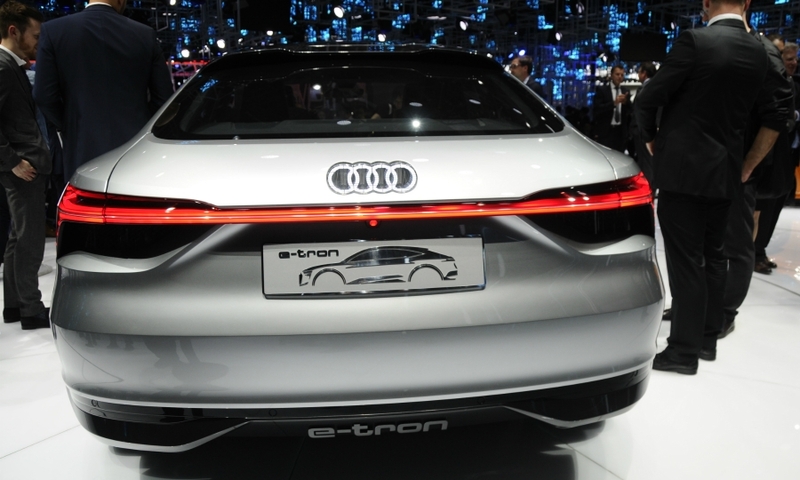 It currently sells one e-tron car in China, a plug-in hybrid version of the A3 that is imported from Germany. Audi believes the green car industry might hit a "tipping point" in the next couple of years and see demand for plug-in cars accelerate, Voggenreiter said. "There is, first of all, a worldwide customer trend for sustainability," he said. "In a transition phase we will have plug-in hybrid cars. 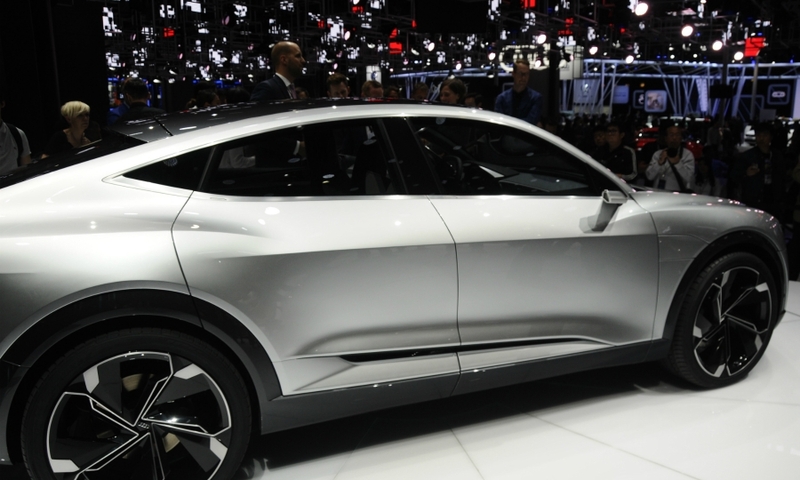 In the long-run we will see more and more full-electric cars."